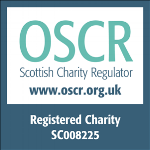 As a charity, the difference is unique in that it supports most wards, departments, specialities and hospitals across the Scottish Borders. From acute care in the Borders General Hospital, to the community nurses that are out and about every day through to our vast range of mental health services, we have a fund for everyone to ensure that the money you raise or donate will go exactly where you want it to. All donations are used to enhance patient care here in the Borders. Here is a full list of funds, along with their corresponding fund number, for you to browse through. If you need any help or advice, please do get in touch with us.